Written in three parts some years after the Revolution of 1917, Trotsky sets out to give a detailed history of the events of that year, combined with his analysis of what led to Russia being ripe for revolution at that moment in time. He admits to his own bias, but claims that he has rigorously fact-checked, including only what can be verified in written records. In order to stop the book reading like an autobiography or memoir, he refers to himself in the third person throughout. I ended up with 24 A4 pages of notes on this 900-page book, so will be summarising and paraphrasing brutally to keep this review even close to a readable length. Given the complexity of the subject, it’s highly likely that a different reader would disagree with my interpretations or emphases. 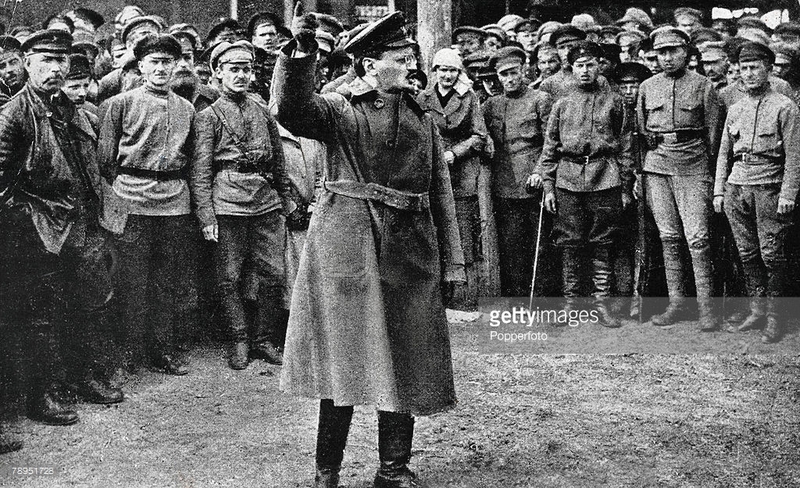 Trotsky begins by giving a fascinating explanation of why revolutions arise, and how they differ from other forms of changes of government, even violent ones. His position is that the involvement of the masses is key – that a tipping point is reached when people suddenly feel they cannot tolerate the existing regime any longer. Therefore the masses create the demagogue to lead them once that point is reached, rather than the demagogue being the starting point. This section, and other sections where Trotsky talks in general terms on political theory, are excellent – intelligent, concise and clear; and the translation is remarkable, especially for such a complex subject. The translator, Max Eastman, knew Trotsky and was well aware of the events under discussion, which perhaps makes his translation transcend the literal. 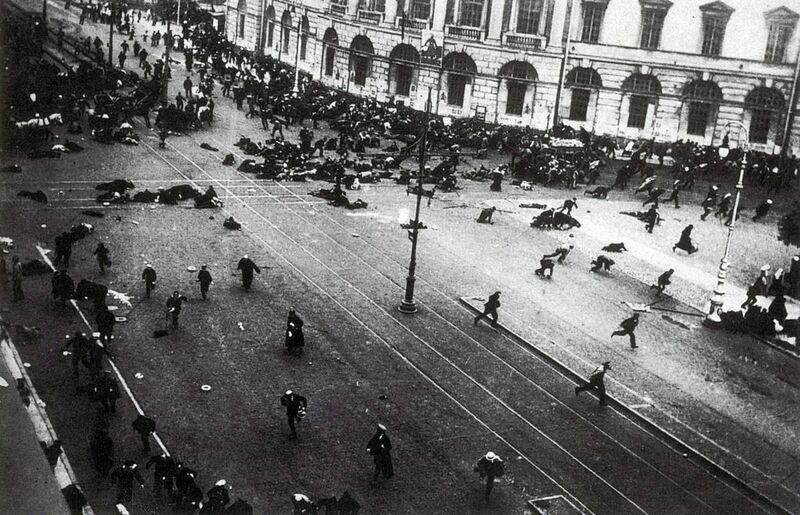 Riot on Nevsky Prospekt, Petrograd July 4th 1917, when troops of the Provisional Government opened fire with machine guns. Next Trotsky explains the historical background which brought Russia to the tipping point. 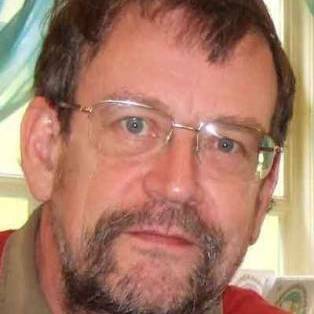 His argument, in summary, is that for geographical and cultural reasons Russia was a backwards nation, politically and economically, so that, when it came under pressure from the encroaching Western powers to industrialise and modernise, it did so by jumping some of the steps that those more developed countries had already gone through. He calls this the law of combined development. This sudden industrialisation led to skewed figures in terms of the percentage of the population employed in huge industrial concerns – this new industrial class, the proletariat, forming an ideal environment for revolutionary ideas to ferment. And the increased poverty and suffering brought on by the lengthy war – an imperialist war – sped up the natural progression towards the revolutionary tipping point. At all stages, Trotsky’s argument is that the pressure for revolution came from the masses upwards, and that the Bolsheviks merely gave guidance to the process of insurrection through providing a Marxist-based political education to the workers. Trotsky next speaks of the Romanovs and their supporters, and it’s here that any pretence of impartiality or balance disappears entirely. Trotsky’s words positively drip hatred and venom. He criticises their intelligence, understanding, lack of compassion, cruelty. He compares them to other monarchies overthrown in earlier revolutions, specifically the French and English, but ranging widely and knowledgeably over centuries of history. His anger and scorn come through in every word, and, while the various overthrown Kings are shown as weak and contemptible, he puts much of the blame on the Queens in virulent, misogynistic prose. The whole establishment of the historical, political and philosophical background to the Revolution is excellent, so long as the reader keeps Trotsky’s bias firmly in mind at all times. The following sections then go into an extremely detailed blow-by-blow account of the period from February – the beginning of the 1917 insurrection – to October, when the Bolsheviks finally came to power. I found these parts much harder to follow, because Trotsky assumes a good deal of familiarity with the political stance of the many factions and personalities involved, and therefore often doesn’t explain them. I found I was constantly referring to the lists at the back of the book, which give brief summaries of each of the parties and explain the unfamiliar terms that appear frequently in the text. These lists are very good in that they are concise and focused, but I still found myself confused and glazing over at many points. As the book goes on (and on), I gradually grew to have a greater understanding of all these factions and their leaders, so that the last third was much clearer to me than the middle section when they are referred to first. If I had the strength of mind, I’m sure that a re-read of those middle chapters would be much easier, but on the whole, by the end, I felt I had gleaned enough to understand the overall progress of the Revolution even if some of the detail had passed over my head. In terms of the writing itself, there’s a real mix. When Trotsky is detailing the more technical stuff, it can be very dry with long, convoluted sentences full of Marxist jargon, which require concentration. At other times, mainly when talking of Stalin or the bourgeoisie, he is sarcastic and often quite humorous. The Romanovs and imperialists in general bring out his anger and contempt. These are all written in the past tense. But when he gets misty-eyed about the masses, describing a rally or demonstration or some other part of the struggle, he drifts into present tense, becoming eloquent and, I admit, inspirational, writing with real power and emotionalism, and rising almost to the point of poeticism at times. I would find my critical faculties had switched off, and become suddenly aware of tears in my eyes – the power of the demagogue reaching beyond speech onto paper, indeed! These passages break up the more factual stuff, and remind the reader that Trotsky was an observer, a participant and a passionate leader in the events he’s describing. By the time Trotsky was writing this, Lenin was of course dead, and Stalin had come to power. Trotsky appears to have three major aims in addition to recounting the history: firstly, to show that he himself played a crucial and central role in events; secondly, to prove that while he and Lenin may have disagreed on some practical issues, their political philosophies had been closely aligned; and thirdly, and leading on from the previous two, that Stalin’s attempt to re-write history must be exposed and repudiated. Stalin, Trotsky suggests, is deliberately changing history as it relates to Lenin and Trotsky, in order to justify his own policies – which, by extension, Trotsky believes are out of line with the Marxist-Leninist origins of the Revolution. Again, he often assumes more understanding of the variations between Marxism, Leninism, Trotskyism and Stalinism than this poor reader has, and it began to feel like those endless nights down the pub in the ’70s when my fellow leftist unionists (usually the men) would start arguing over abstruse points of political ideology and calling each other names, generally after their fifth pint or so. It all seemed rather… trivial, though that feels like an inappropriate word given the many millions of people who have suffered and died under the yoke of these ideologies over decades. But Trotsky’s sycophancy over Lenin, self-aggrandisement, and sarcasm and spite towards Stalin ensured that any lingering affection I may have harboured for the idea of a socialist revolution dissipated long before I reached the end of the book. Power undoubtedly corrupts and I couldn’t quite see that the leadership of the USSR was much improvement over the admittedly hideous Romanovs in the end. A fascinating book, not by any means an easy read, but certainly an enlightening and worthwhile one. It gets the full five-stars from me, though I freely admit the fifth one may be due purely to the euphoria I felt on finishing. NB This book was provided for review by the publisher, Penguin Modern Classics. 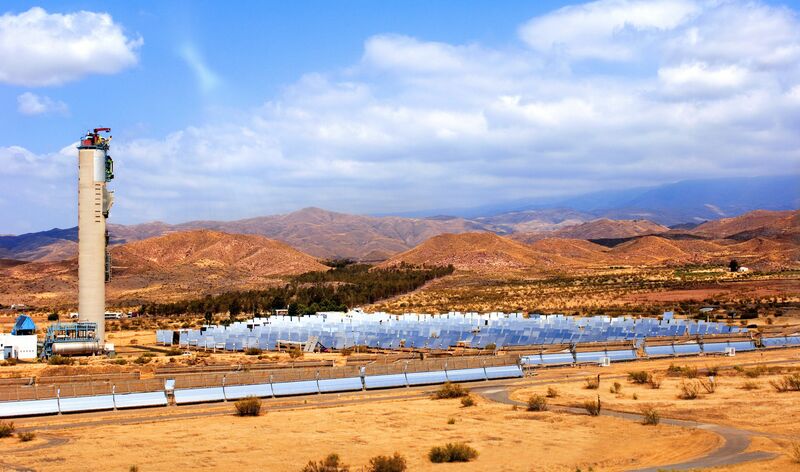 In December this year, the next United Nations Climate Change Conference will convene in Paris to make decisions on how to cap carbon emissions at a level that will ensure that global temperatures will rise by no more than 2° Celcius compared to pre-industrial levels. This book is a summary of where we are now and an action plan for the future. The book is heavily polemical, very much Tim Flannery’s personal attempt to influence the decision makers. 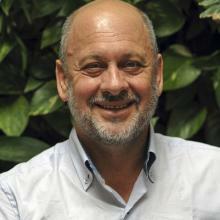 As a scientist and leading environmentalist of long-standing, Flannery is Professorial Fellow at the Melbourne Sustainable Society Institute, University of Melbourne, a member of the Australian Independent Climate Council and chairman of the Copenhagen Climate Council; so he’s certainly qualified to speak authoritatively on the subject. However, having vented his spleen, Flannery then settles down into a series of well-written chapters where he lays out the current situation very clearly. 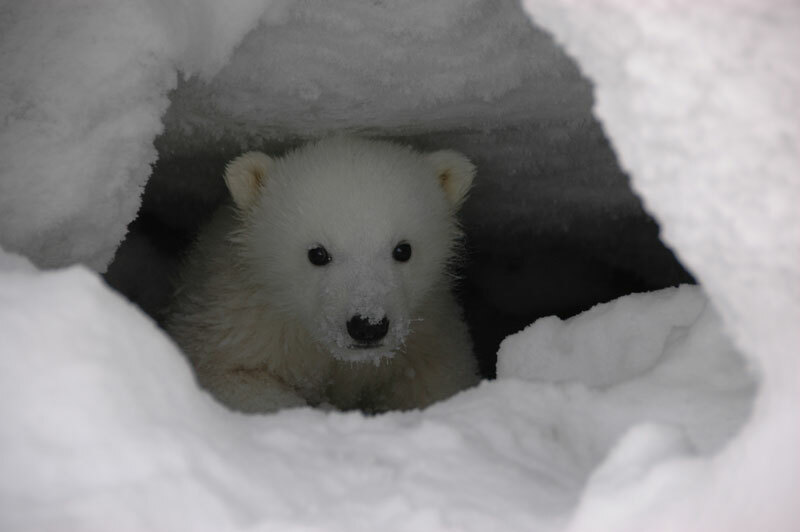 He starts with a bleak picture of what may happen if temperatures are not contained to the 2°C target – to the Arctic and Antarctic, to forests, wildlife and oceans, and not least to humanity in those parts of the world most sensitive to rising temperatures. It’s all stuff we’ve heard before, but brought up to date with the latest science. 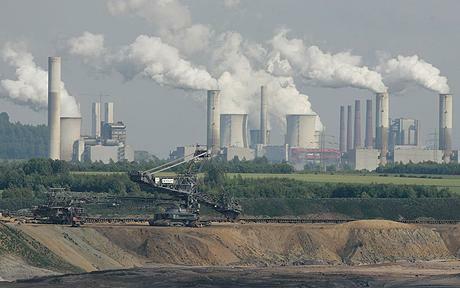 Flannery assumes throughout that by this time only those with vested interests in the carbon industries are still denying the link between man’s activities and climate change, and so is dismissive and even occasionally virulent about deniers. There is throughout a feeling of urgency – no time left to waste preaching to the unconverted, let’s just ignore them and get on with what needs to be done. Fine by me, but this is not a book to win over waverers with charm. The next few chapters take us through individual aspects of energy production, starting with the dirty ones and moving on to the clean. This was the part of the book that gave me a sense of hope – assuming Flannery’s figures are correct, and I see no reason to doubt them, then fossil fuels seem to be losing their overwhelming attractiveness as renewables become both more efficient and cheaper due to economies of scale. We’re nowhere near out of the woods, but Flannery made me feel as if perhaps we’ve spotted the path. In the final section, Flannery discusses how he believes we should proceed. His position is that, even in the unlikely (but not impossible) event that we reduce fossil fuel use to zero over the next few decades, we will still have the problem of existing CO2 in the atmosphere to deal with. He discusses the difficulties of the task and goes into some detail on some of the schemes that have been put forward. To my unscientific mind, lots of these sound like pie-in-the-sky schemes, or actually poison-in-the-sky, to be more accurate. Flannery himself isn’t keen on the kind of geo-engineering scheme that suggests pumping other stuff, like sulphur, into the atmosphere in order to induce cooling, on the grounds that firstly, we can’t foresee all the possible implications and secondly, the underlying problem of too much carbon still remains. He suggests what he calls a ‘third way’ – a mixture of preparing for climate change by making necessary adaptations at a local level while attempting to remove CO2 from the atmosphere by a variety of schemes, from massive seaweed farms to storing carbon in rocks and plastics, that he feels could be effective without the risks of geo-engineering. To be honest, much of this sounded impractical and a bit like wishful thinking to me, but hey! Most of it was well over my head scientifically and he’s an expert, so I’ll give him the benefit of the doubt. It’s always been my opinion that it will have to be the scientists who solve this problem in the end, and the role of governments and the people should be to give them the finances and resources they need, while trying to stop any of them accidentally blowing up the galaxy in their enthusiasm. However, after cheering me up in the earlier chapters, I’m afraid this final section plunged me back into gloom – the sheer scale of the task and the short-termism of so many governments make it all seem pretty overwhelming. I comforted myself with the thought that perhaps Flannery had done this deliberately, so that no-one would be approaching the Paris Conference feeling over-confident. Overall well worth reading – a good introduction for anyone new to the subject and a thorough update for those with a little more knowledge. Let’s hope the politicians attending the Conference will pay attention to the science more than the politics for once… the world will be watching. Won’t we? NB This book was provided for review by the publisher, Grove Atlantic. In this beautifully written and thoughtful book, the author, a British-born Jew, muses on her troubled relationship with the place she thinks of as ‘home’ – Israel. Her parents were kibbutzniks there, but emigrated to Britain before Donahaye’s birth. Donahaye made the first of her many visits to Israel at the age of ten, a visit that had a profound effect on her when she saw her mother blossom amongst the places and language of her youth, becoming someone other than the person Donahaye knew. This not altogether positive experience was followed by other trips during which Donahaye came to love and admire her mother’s country deeply, absorbing from her extended family the Zionist version of the history of the State of Israel as it has become mythologised by those who have lived, fought and died there since its foundation. For many years, Donahaye didn’t question this version of events. 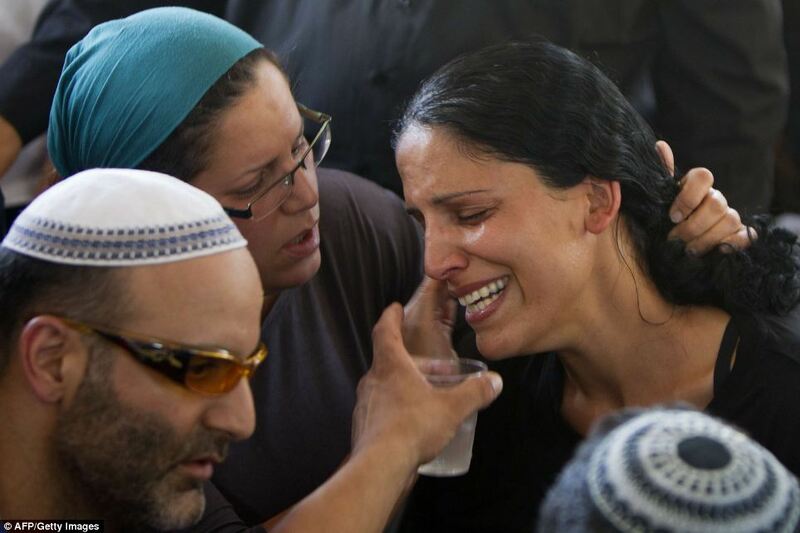 However at the age of forty, on discovering that her grandfather had been involved in the driving out of the Arabs from their villages in 1947, Donahaye started a journey that led her to learn the other history of Israel – the one that talks about ethnic cleansing of the Arabs, that explains the refugee camps, that suggests that the Palestinian Arabs saw this land as home as much as the Jews, either of Palestine or from the diaspora, ever did, and had as much right to it. This book is the story of that journey, as Donahaye takes the reader through her gradual awakening to the full complexities of the history of this troubled region and her agonised process of reassessment of the country she still loves and feels inextricably drawn towards. I’ll get my criticisms out of the way first because, though not unflawed, it is in many ways an exceptional read, whichever side of the Zionist debate the reader might tend towards. The book is short, but in truth I felt it was also a little too long for its subject matter. The tone is unbrokenly melancholic and this made it quite a monotone read. There are too many divergences to describe bird-watching experiences, although these passages are often beautifully written and she frequently uses them as metaphors for the migrations of both Jews and Palestinian Arabs. 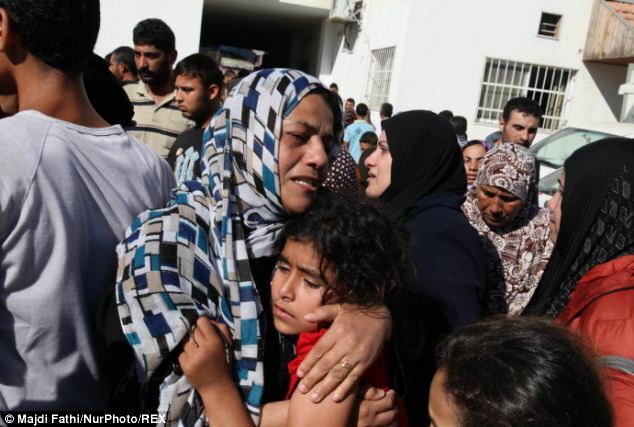 I also felt Donahaye must have been remarkably unaware of politics if she had managed to live for forty years without being conscious of the other side of the Palestinian question. I could perhaps have understood that more had she lived in Israel, where the atmosphere of constant threat from outside might encourage a national blindness to other viewpoints. 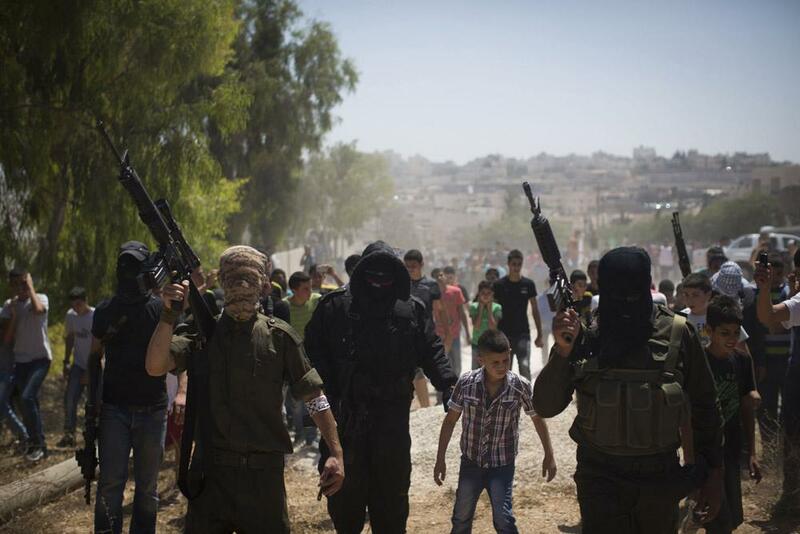 But living in the UK where there are at least as many critics of Israel’s stance towards the Palestinian Arabs as supporters of it, then one would have to have no interest in the subject at all to remain ignorant of at least some of the arguments. While her investigations did uncover some small facts that are not generally known, the big picture that seemed to shock her so much is one that has been debated and argued over for decades. 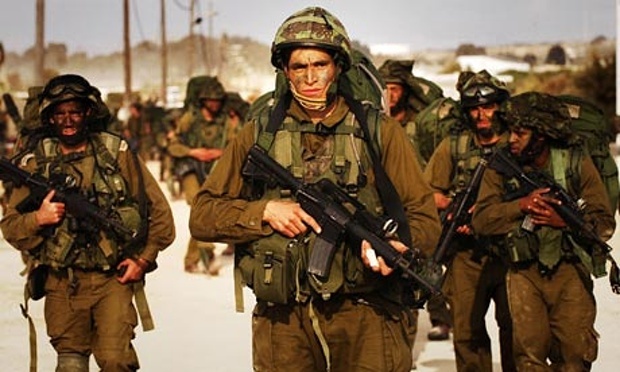 As such, I didn’t find that the book really added much to the debate – though perhaps it would in Israel, if it is an accurate picture Donahaye paints of it as almost a police state where anyone who tries to find out about its history is immediately suspect and subjected to state surveillance. Bearing that in mind then, for me the chief interest in the book was in seeing how her discoveries affected her emotionally, as she gradually changed her mind about the unarguable rightness of the Israeli position. Torn between her love for the nation and her horror at finding out how the Palestinian Arabs had been treated by it, she describes her struggles eloquently, using some beautiful, almost poetic language, even if just occasionally I found that in her new-found awareness she was veering perhaps a little too far towards the maudlin end of liberal political correctness. She talks not just of the politics and history of Israel, but of the land itself – its beauty, its wildlife and the lack of water which, she suggests perceptively, may in the end be a crucial factor in determining how the future pans out. When she speaks of her family in Israel, we see how the fear and anxiety they live with daily affects their opinions and attitudes. She writes emotively of how her researches upset the elder members of her family, challenging the foundations of their loyalty to their nation. The book is at its most profound, I feel, when she discusses the ways histories are made by those with a vested interest in ensuring their version is accepted. Renaming of Arab villages after they had been cleared of their occupants, to give them Hebrew names and to, in some cases, suggest links back to the Biblical era, is shown as a means both of legitimising the Israeli State and of obliterating the long history between that earlier time and the present and, with it, obliterating the suggestion of any other occupants having legitimate claims to the land. Donahaye describes how the older members of her family still tend to use the old Arab names that were current in their childhood, while young people are forgetting not only the old names, but the very fact that they ever existed. And, in parallel with this, she shows how easy, and perhaps necessary, it can be for the people on one side of a conflict to dehumanise those on the other. An emotional exploration of one woman’s journey, this might not change the terms of the debate, but it certainly casts light on it. And is an eloquent testimony to the heart-rending that can be caused when the nation one loves acts in ways one finds hard to bear. NB This book was provided for review by the publisher, Seren. As any Brit will know, The Daily Telegraph is one of our more right-wing newspapers. This book contains a collection culled from the Letters to the Editor section of the paper, submitted by the intelligent, the witty, the grumpy and the occasionally downright weird people who are part of the readership. The letters cover the period from the last general election in 2010 through our experiment in Conservative/Liberal coalition government, and give a great flavour of the issues and scandals that have exercised the minds of retired colonels and maiden aunts in the leafy suburbs of Conservative England. While I try not to discourage anyone from any good book, this one is really only for UK political geeks. Many of the entries are humorous, but a lot of them depend on the reader knowing the personalities and politics of contemporary Britain. Sir – Dear Lord, I know that I don’t talk to you that much, but I note that you have recently taken away my favourite actor, Patrick Swayze, my favourite actress, Farrah Fawcett, my favourite musician, Michael Jackson, and my favourite cricketer, Alec Bedser. Sir – The most astonishing fact is that Gordon Brown finished third out of three and his acolytes are relieved. I dread their ambitions for the country. Sir – I would think that Gillian Duffy, sixty-five, is probably more annoyed at being described as ‘elderly’ than a ‘bigot’. 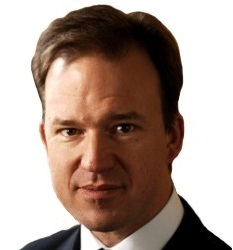 Sir – David Cameron wants to help us old people to downsize. I am already two inches shorter than I used to be, so I don’t need his help. Sir – May I suggest that if the police are to use water cannons to disperse rioting students, they include some soap in the tank? Sir – Being a devoted husband, as well as a staunch and active member of the Conservative Party, I’d be grateful to learn what further changes it will adopt, especially in regard to monogamy. My wife could do with a bit more help around the house. NB This book was provided for review by the publisher, Constable. 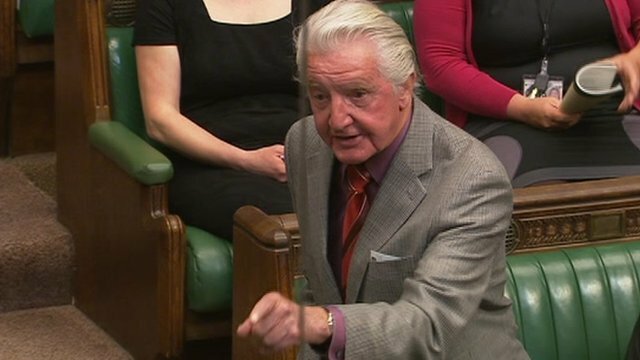 Now in his eighties and still an active Labour Member of (the UK) Parliament, it seems to me as if Dennis Skinner has been around forever. Certainly he’s been there since Parliament was televised, sitting in his usual seat beside the passage and making his famous quips at the opposition speakers…and sometimes those from his own party too. He claims that he didn’t want to write this book of memoirs, but has finally given in to the requests of many people who have enjoyed his public speaking. Certainly the book’s progress to publication seems to have been a difficult one – it has been delayed and delayed till it reached the stage that I wondered whether it would ever actually appear. At first, Skinner was shown as the sole author, then for a while the pre-order details said that it was to be co-written by Kevin Maguire, a left-wing journalist – but this finished version has reverted back to being credited to Skinner alone. All of which might help to explain why the book is, quite frankly, a bit messy. It’s a cross between a rather patchy memoir and a statement of Skinner’s political convictions, with occasional musings on other subjects, such as his love for London parks. That’s not to say it’s not interesting – it is. Well, I’ll narrow that down a little – it’s interesting if you happen to be a left-wing UK political nerd who remembers the miners’ strike and gets nostalgic over the thought of those halcyon days when we marched through the streets of wherever we happened to be at the time, shouting ‘Maggie! Maggie! Maggie! Out! Out! Out!’ Skinner is an unreconstructed socialist and proud of it. Following his father into the mines, he is of ‘good working-class stock’ (which was in fact the title the book was listed as at one stage of its production), and still sees himself very much as a class warrior. His hatred for the Conservatives is visceral and often expressed in terms not unlike a small boy calling nasty names. On the other hand, he is strangely unforthcoming about the changes in the Labour party over the decades – he surely must have hated and despised the New Labour ‘project’, but he keeps that pretty much under wraps, while making it clear he thinks it’s well past time for Labour to get back to its roots. Two weeks from today, the people of Scotland will make the biggest decision that any nation can ever make – the state of its very nationhood. We will decide whether to remain part of the three-hundred-year old United Kingdom or to once again become an independent nation. Four years ago, I was a convinced Unionist, believing that the four nations that make up the UK (Scotland, England, Northern Ireland and Wales) were stronger together – economically, strategically, perhaps even culturally. Two years ago, when the campaign began, my view had already begun to change. Again, as has happened for most of my lifetime, the people of Scotland and England had voted quite differently in the UK elections, and the sheer imbalance in numbers meant that the English vote carried the day. Once again, we were being run by a government we didn’t elect, didn’t support and felt alienated from. There is an argument that that’s what democracy is all about, that we should accept the majority view and keep campaigning from within; but in the UK we split politically along a fairly sharp dividing line, not far south of the Scottish/English border. As a date for the vote was set for long ahead, I felt myself being emotionally drawn more towards the Yes for independence campaign, but since I am (I like to think) a rational being, I decided to make sure that whatever decision I reached would be an informed one. This decision isn’t about who’s in power today and whether or not we like them – it’s a decision that, whatever the result, will set the direction of our nation for the foreseeable future. Because of this (and perhaps for more strategically political reasons too) the franchise has been extended for the first time to include 16 and 17-year-olds – a group who have grasped this opportunity with enthusiasm and far more intellectual seriousness than the nay-sayers ever anticipated. When the debate began, many people, Scots and English, felt that an anti-Englishness was at the root of it, but that has been proved not to be so. We don’t hate our neighbours – the English are our best friends. Indeed, for many of us, they are family, and still will be even if we decide to leave the Union. Thousands of Scots live down South, temporarily or permanently, and equally thousands of English people live happily in Scotland, and will of course be entitled to a vote. Of the four siblings in my family, three of us lived for lengthy periods in England, though we each returned home eventually. But the truth is, each of us was forced to go South because the economy of the UK is so skewed towards London, where almost a third of the whole population of the four nations is crowded into a small space. The policies of the ’80s destroyed much of the industrial base of Scotland (and Wales and the North of England) leaving little option for many people but to move. In fact one politician of the ’80s, Norman Tebbit, went down in infamy for telling people in the devastated industrial areas to ‘get on their bikes’ to look for work elsewhere. 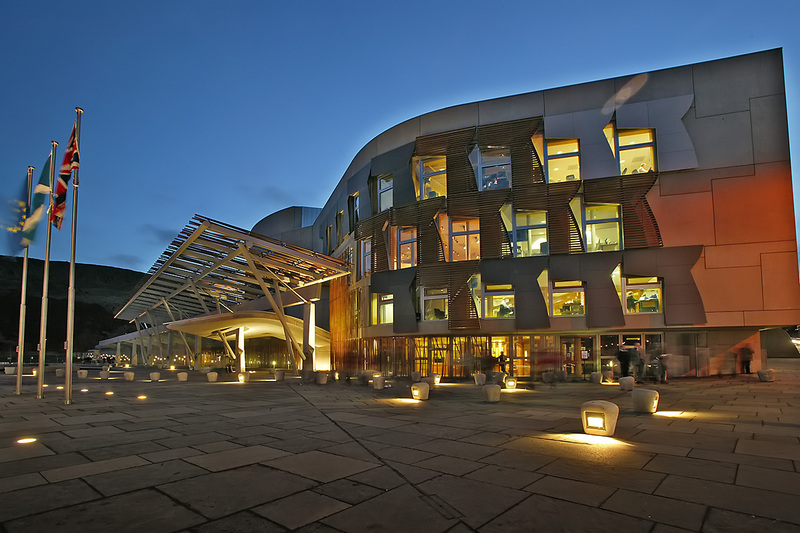 It was the policies of Thatcherism that led to the demands for a devolved Scottish Parliament, which has been in place since the turn of the millenium, and which has done a great deal to restore our national self-confidence. It seems to me that, yes or no, our decision must be part of a historical process. And it therefore seemed that, to make an informed decision, I would have to understand fully why we are where we are now. For most people, this would sound straightforward because they are taught their own history in school. 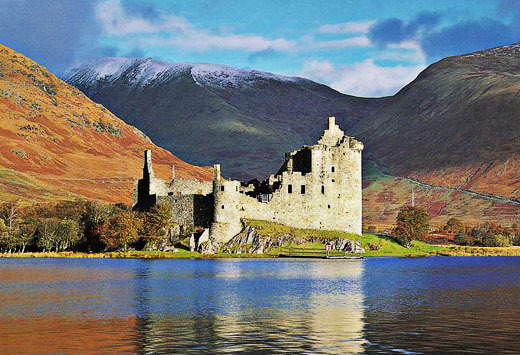 In Scotland, however, when I was growing up, we were taught what was called British history – in fact, the history of England primarily. Just as we were expected to read English authors and English poets rather than Scots. Hence my much deeper knowledge of Henry VIII (King of England) than James IV (King of Scotland); and of Dickens and Shakespeare than of Sir Walter Scott and Robert Burns. I wonder if you find that as shocking as I do? The shock didn’t hit me until well into adulthood though – it had been happening for generations and most people accepted it unthinkingly. In the same way, when we speak or write formally, we are expected to do so in English, the language we are educated in – not Scots, a language that is in danger of dying out completely, nor even Gaelic, despite recent attempts to revive it. Those of you who have followed my blog for a while will perhaps now understand why I have spent so much of this last year or more grappling with Scotland’s history and place in the world. I have read widely on subjects related to Scotland’s history – the Union, the Enlightenment, the Scottish diaspora, the British Empire, the American War of Independence and reasons for it, the after-effects of the break-up of the Empire on the countries that were once its dominions and colonies, the purpose and state of the Commonwealth today, the formation and purpose of the United Nations, the background to and status of the European Union. And I’ve read some polemics from people on either side of the debate, though mostly from the Yes side, since very little positive has been said or written on the No side (who unfortunately decided early on to go with scare tactics rather than a positive campaign). And I am by no means the only Scot who has been going through this process. There is no definitive right or wrong answer in this debate – either way it’s a leap of faith. I will be voting Yes for independence, but with full understanding of why many, perhaps most, of my fellow Scottish residents will be voting No. I have been proud of being British all my life and, whatever the result, that pride will remain. Together we have achieved some amazing things in the world, punching well above our weight. Over the last three centuries, we have argued and bickered, but when we needed to we stood firmly united and played our part in the threatening world out there. That will not change. If we vote for independence, we will be an active part of NATO; we will participate positively in the UN; we will sit round the table with our erstwhile and future partners in Europe (unless England votes to leave). We will continue to stand for the things we believe in and fight for them when required. But I have also rediscovered a real pride in being Scottish. I have learned how influential the Scottish Enlightenment has been on the entire Western world and perhaps beyond. I am much more aware of the pivotal role that Scots played in the Empire (I know it’s fashionable to dismiss the Empire as evil these days, but that’s far too simplistic a judgement). I understand how the Scottish diaspora has spread ideas and principles that originated here throughout the former dominions. I appreciate how much our scientists have contributed to all fields – medicine, mathematics, physics et al. I have even been proud to read an American historian claim that the Scots invented the modern world. And more than all of that, I am proud that we have had this hugely lengthy debate over something so crucial and potentially divisive, with good-humour, intelligence and an almost unique lack of violence. I am proud that we have taken the subject seriously, that we have listened carefully to each other and to the arguments on both sides, and that we have thought profoundly about the kind of nation we want to pass on to future generations. The polls suggest that more than 80% of all eligible voters intend to turn out on polling day and that makes me deeply proud. 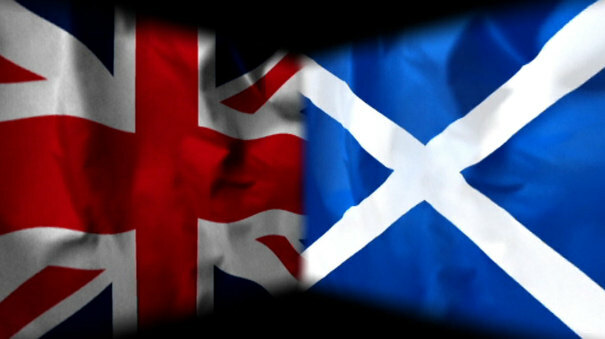 The Scots will divide when we enter the polling booths on the 18th September, but when the results are known a few days later, we will still be united, whoever wins. Because, as a nation and as a people, the quality and conduct of this debate means that we have already all won. And if we are still partners with England come the 19th September, I hope and suspect it will be a much more equal partnership in future, with a greater degree of understanding and mutual respect on all sides. Roy Jenkins was one of the most influential British Labour politicians of the second half of the twentieth century. The son of a miner, he was however far from working-class. His father had risen to become a successful Member of Parliament and made sure his son was given an advantageous education culminating in an Oxford degree. His socialism therefore was always of an intellectual kind rather than being rooted in the unions as his father’s had been. And like many socialists, especially of that era, he gradually moved from the left towards the centre. A prominent Cabinet minister in the ’60s and ’70s, Jenkins held at different times two of the great offices of state, as Home Secretary and Chancellor, and was accounted to be successful in both positions. In the first role he is credited with pushing through the socially liberal legislation that some later claimed led to the ‘permissive society’, while as Chancellor he was seen as having transformed the balance of trade and fiscal position of the UK, which were still suffering from the aftermath of WW2. Consistently pro-Europe, he was one of the strongest proponents for Britain’s entry to the Common Market. 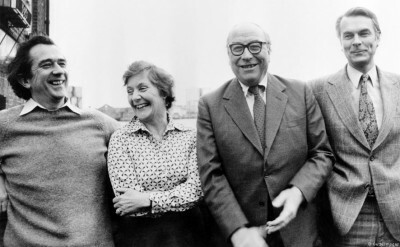 The Gang of Four who led the breakaway SDP Party – Bill Rodgers, Shirley Williams, Roy Jenkins and David Owen. 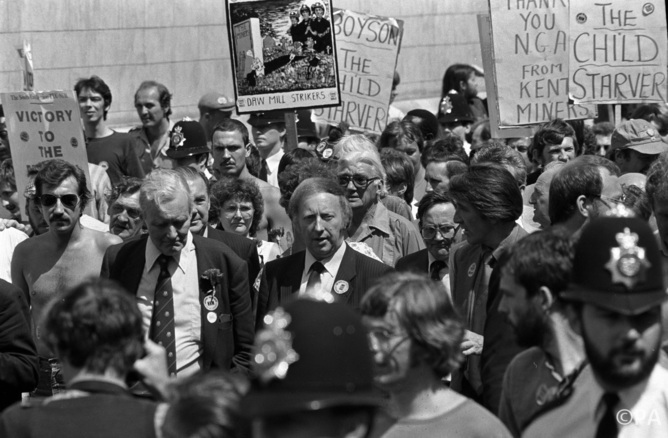 Had the tensions between left and right within the Labour Party not become so toxic during the 1970s, there is very little doubt that Jenkins would have become party leader and quite probably Prime Minister. Instead, he decided to leave parliament to take up the post of President of the European Commission. But on his return, when the Labour Party was showing every sign of lurching even further to the Left, Jenkins ended up leading the breakaway group that was briefly known as the Social Democratic Party, before merging with the Liberal Party to become the Lib-Dems we (in the UK) all know and love today. 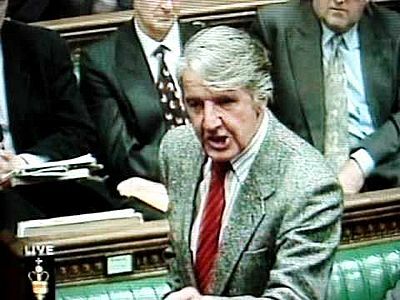 Jenkins returned to Parliament for a while as MP for Glasgow Hillhead, but it was soon clear that the SDP was not going to fulfil the hopes of its followers by replacing the Labour Party as one of the two major parties in Britain, and Jenkins was defeated at the next election. Alongside this lengthy political career, Jenkins had a second career, perhaps equally successful and certainly more lucrative, as a journalist and political biographer of, amongst others, Asquith and Churchill. Add in a complicated personal life, and a huge network of friendships with many of the most influential people of his time, and it’s clear that any biographer of Jenkins himself has his work cut out for him. 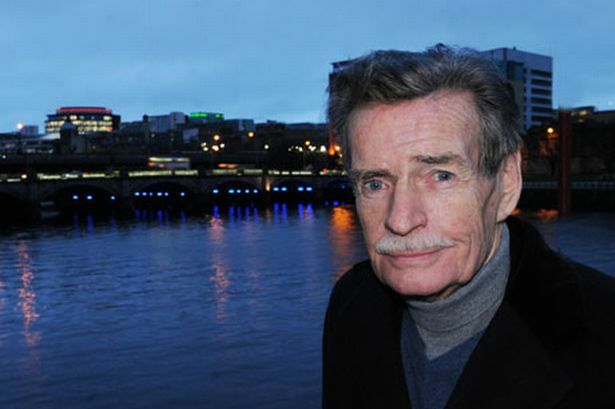 John Campbell is the author of many political biographies and won the 1994 NCR Award for his biography of Edward Heath. He admits in the introduction to this book that he admired Jenkins a good deal, and hopes that he has not allowed this to stop him being critical when required. I, on the other hand, always found Jenkins to be a pompous, arrogant buffoon who was serially disloyal to the parties to which he belonged. So the question for me was whether Campbell would be able to persuade me that I, in my youthful ignorance, had misjudged the man. The biography is hugely long and detailed, but written with a clarity and flow that make it a pleasurable read. I kept feeling that surely something could have been cut to make the size more manageable, but concluded eventually that it was the fullness and complexity of Jenkins’ life that led to the length, rather than any failing on the part of the author. There is a fairly heavy emphasis on Jenkins’ personal life in the early part of the book – specifically his relationships with Tony Crosland (another Labour politician), then his wife and his multiple mistresses. But happily, once Campbell had made his point about the unconventionality of Jenkins lifestyle (or perhaps one should say conventionality, since it bears comparison with that of politicians of earlier days), he allows the subject to fade into the background and concentrates much more on the political side of his life. 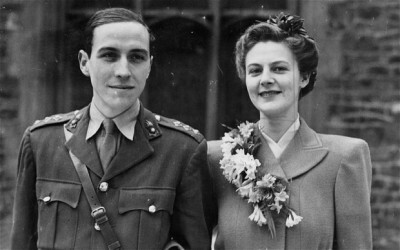 The wedding of Roy and Jennifer Jenkins – a marriage that lasted till Jenkins’ death despite his many affairs. I did feel that Campbell’s partiality for Jenkins showed through too clearly in some places, letting him off the hook on occasion, and giving him a little more praise than necessary. In general, though, I prefer affectionate biographies to hatchet jobs, so overall Campbell’s approach worked well for me. I was somewhat less keen on the way he portrayed some of the politicians on the left if the Labour Party – it wasn’t so much that I disagreed with his depiction of them as that I felt he adopted an almost sneering tone at times that led his account to feel as if it were being somewhat biased by his own personal political stance. Overall, though, I found this a well written and hugely informative biography. While sticking closely to his subject, Campbell sets Jenkins’ life in the context of the times at all stages and as such this is also a revealing look at the wider political history of the second half of the twentieth century. 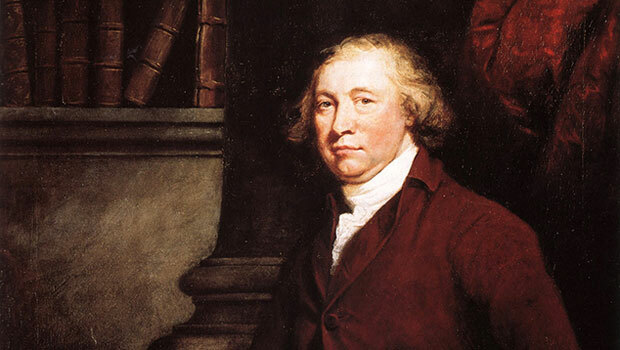 Jenkins lived a well-rounded life indeed, never allowing the pressures of his various roles to get in the way of the more hedonistic side of his nature, but Campbell convinced this reader at least that the charge of laziness that was sometimes made against him was unfair. While I still stand by pompous and arrogant, Campbell has persuaded me that I must retract the word ‘buffoon’ – no-one who achieved so much in so many fields deserves that title. And while he was disloyal to his parties, it seems he remained loyal to his core beliefs, which in the end may be more honourable – so I acquit him of that charge. Jenkins’ life was a full and interesting one, and this biography does its subject justice – highly recommended (to political nerds like me, that is, not to normal folk). 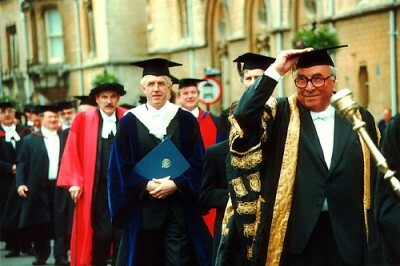 In his later life, Jenkins was a high-profile and well regarded Chancellor of Oxford University. 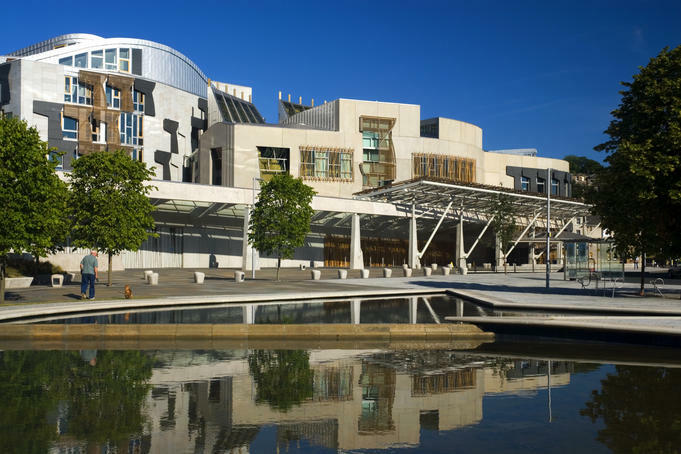 The run-up to this September’s referendum on Scottish Independence has led to a rash of books on the subject of how Scotland should best be governed, as we all indulge in some intense navel-gazing. Some books attempt to take an unbiased approach, others are arguing strongly for one side or the other. This one is an unashamed polemic, arguing not so much for independence as it’s currently being offered, but for a return to localism in politics – a vision inspired by a damning comparison of Scotland to the similarly sized countries in the Nordic belt. 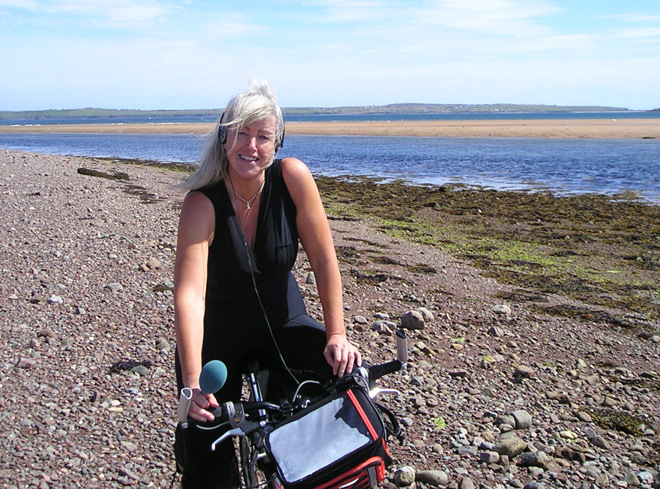 Lesley Riddoch has been one of Scotland’s leading journalists for decades, both in print and on radio and television. She draws on many of the stories she has covered in her long career in painting a picture of Scotland that is, quite frankly, bleak. Her position is that the root cause of Scotland’s poor showing in any comparisons of health or life expectancy is the people’s lack of control over their own environment. In Riddoch’s view, simply separating Scotland from the UK would merely mean a change in location of an over-centralised state from London to Edinburgh – instead she argues strongly for a return to much smaller local councils with real powers; and for strong community schemes, particularly with regard to housing and health, where residents are able to decide their own priorities and take control of their own surroundings. To make her point, Riddoch looks in general at the history of housing and land ownership in Scotland, pointing out that still today 60% of the land is owned by 1,000 people – often the same families as controlled it in the days of feudalism. She highlights the emptiness and lack of productivity of much of the land – carefully managed as ‘wilderness’ pleasure grounds for the benefit of the few – and contrasts this with the cabin culture of the Nordic states, where city-dwellers regularly own a small piece of the countryside where they can retreat to nature for weekends and summer breaks. In Scotland, in Riddoch’s view, city-dwellers have almost no contact with the countryside, thus missing out on the health benefits of a more outdoors existence; but perhaps more importantly, feeling that they have no control over how this vast resource is managed and controlled. Riddoch offers ideas for solutions to the problems she highlights by giving examples of, in her view, more successful forms of land management and community housing schemes. As a trustee of the Isle of Eigg Trust, she was involved in the successful community buy-out after years of mismanagement by a variety of absentee landlords. 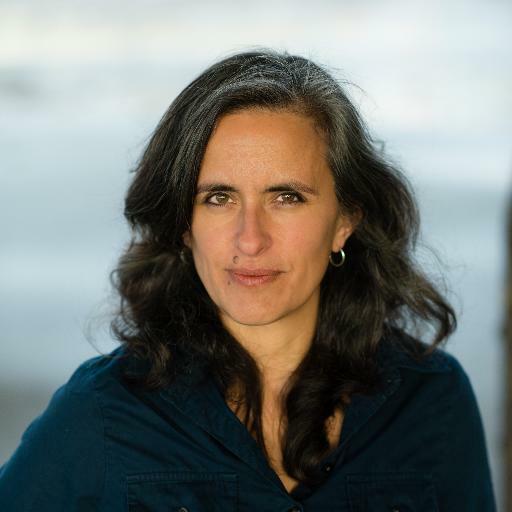 She shows the difficulties of bringing the buy-out to fruition, but gives a rosy picture of how community involvement has improved the lives of the islanders and slowed the drift to the cities. She discusses in depth the tradition of tenement-dwelling in Scottish cities, suggesting that with some modernisation this type of shared housing space is a way of keeping community spirit within cities and stopping the spread of housing out into what she clearly sees as soulless suburbs. She suggests that the decline in formal use not just of Gaelic but of the much more broadly based Scots leads to a sense of inferiority and unwillingness to speak publicly on the part of those for whom Scots is still the first language. (She reminds us of one of my own pet hates – that a child speaking Scots will be told to speak ‘properly’ – i.e. speak English.) And she draws on some successful community health schemes to bolster her argument that local involvement works more effectively than national government in improving health outcomes. 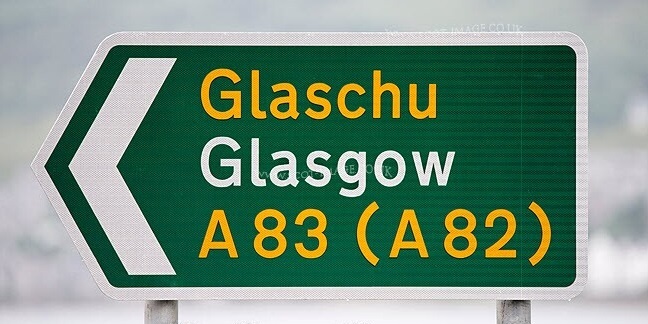 Typical road sign in Gaelic and English…but not in Scots. The very fact that Riddoch got me agreeing and arguing with her in turn shows that I found this a thought-provoking and provocative read – not one that’s directly related to the independence debate, though definitely on the Vote Yes side, but one that argues beyond that for one kind of society we might aspire to if we’re willing to make fundamental reforms to our system of government. Recommended as an interesting addition to our current obsession – but one for Scots only, I would think. For those of us on this side of the Atlantic, US politics has only a marginal relevance in normal times, especially since the end of the Cold War. But following the atrocity of 9/11, Bush was suddenly thrust on to the world stage in a way he had not anticipated and overnight his pronouncements and actions became as important over here as those of our own leaders – especially since Blair instantly committed the UK to go along with the US wherever Bush might lead them. 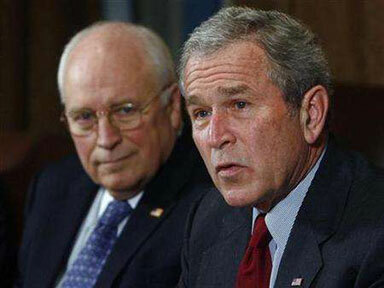 As a result, the Bush presidency is to me the most interesting of modern times. In this book, Peter Baker, the Chief White House Correspondent of the New York Times, sets out to examine the relationship between Bush and Vice-President Cheney – an unusual relationship from the start since Cheney made it clear that he had no intention to run for the presidency at any point in the future. The received wisdom back in the early years was that Bush was a bumbling buffoon riding on his father’s achievements; and that Cheney, one of his father’s henchmen, was the power behind the throne – a shadowy and rather machiavellian figure – the puppet-master. Baker’s position is that Cheney’s influence was strong in the early years and that his support after 9/11 was crucial, but that ultimately Bush was his own man even then, and that Cheney’s influence gradually waned as time passed. Baker’s account is very heavily weighted towards foreign affairs and the ‘war on terror’, particularly Iraq, presumably because this is the area in which Cheney was most involved. Although domestic policies are discussed from time to time, the coverage of them is nothing like as detailed or insightful. Again that works well for me, as a Brit, since it is the foreign policy that most interests me – however I felt it was a bit of a lack in the scope of the book. The other major weakness of the book, I felt, was a disregard of the influence of other world leaders on Bush’s position (and vice-versa) – we remember him trying to accommodate Blair’s domestic troubles over Iraq and we vividly remember the infamous ‘cheese-eating surrender monkeys’ phrase hurled (though not directly by Bush) at a disobedient France (now apparently ‘America’s oldest ally’, since Syria). The attempt to gain the support of allies is discussed, particularly the whole UN resolution saga, but not with the depth that might have been expected, considering how much it damaged the position of the US in the eyes of much of the rest of the world. Interestingly Hans Blix doesn’t get a single mention in the whole book, while Jacques Chirac rates only two. However, other than these omissions or weaknesses, the book is an extremely thorough and detailed account of the workings of the White House during a presidency hit by catastrophe and disaster – from 9/11 to Katrina to the economic meltdown. Overall Baker takes a sympathetic view of both men, though he doesn’t shy away from discussing the more unforgivable aspects of the period either – torture, water-boarding, Guantanamo et al. He does make the point, and makes it well, that such unconstitutional actions had precedents in previous presidencies at times of crisis, and shows how Bush pulled back from the worst excesses as the threat level decreased. Cheney however is shown as having developed an almost paranoid fear of another terrorist assault that led him to want to extend the power of the executive to extraordinary levels, and to justify almost any form of behaviour, no matter how morally repugnant, as necessary in the cause of security. In the first half, the first four years, the book is very much about both men. However, in the second term, Cheney begins to fade away as Rice becomes the most prominent of the President’s advisers, and the book becomes much more of a biography of Bush alone. This tallies with Baker’s depiction of Cheney’s gradual loss of importance to Bush, but does mean that the focus on the relationship gets a bit lost somewhere along the way. But that doesn’t stop it being a fascinating record of a turbulent time in US history. I came out of it feeling that I understood Bush much better, but that somehow Cheney remained a bit of a shadowy figure. In conclusion, this is a well written, detailed and interesting account, but not the complete picture of the period and I’m sure not the last word either on the Bush presidency or on his relationship with Cheney. The author’s sympathy is more for the men than for their policies, necessarily; and as such it is a good reminder of how we ask people to perform impossible jobs and then criticise them for mistakes or failures. Bush and Cheney made some serious mistakes, not lightly forgotten or forgiven, but this book gives a revealing picture of the almost intolerable pressures they had to deal with, and of the toll it took of them. Despite some weaknesses, the book is a major work that sheds a good deal of light on the time, and it therefore gets a ‘highly recommended’ from me. With the 50th anniversary coming up of John F Kennedy’s assassination, a plethora of books will no doubt be appearing over the next few months, tackling his history from a variety of angles. In this one, Thurston Clarke, journalist and historian, looks in detail at the last 100 days of JFK’s life, using this period as a jumping off point to examine both the politics and personality of the man. I found the format of the book quite off-putting at first. Clarke will take a day and mention, for example, that JFK attended a meeting about Vietnam – Clarke will then divert to the past to explain the background to the situation as it was on that day. 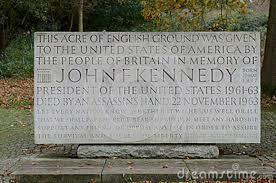 Next JFK might have a meeting on, say, civil rights – and off we go on another trip to the past. 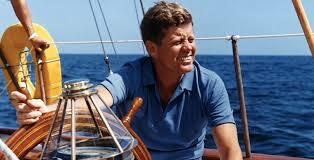 Then JFK might go off to do a bit of sailing, and we’ll get a chunk of information about his personal life. It’s all a bit loose and unstructured; and sometimes Clarke will mention something that he simply assumes the reader will know – for example, at one point he says ‘They discussed Massachusetts politics, race, and whether Alger Hiss was guilty (Kennedy thought he was).’ Since this is the only mention of Hiss in the whole book, this Brit was left with no idea who he was or what he was apparently guilty of. However once I got used to the style, I found the book both informative and interesting. The personal side of the book gave a picture of a rather odd man: a hypochondriacal, lying, sexually obsessed elitist. And yet Clarke reminds us regularly that JFK thought of himself as a man of the people and was happier amongst the workers – I can’t say that he gave any examples that convinced me of this. In fact I came away with the impression of him as a Gatsby-ish figure – constantly changing his clothes, obsessed with appearances, living a lavish lifestyle, needing constant company (even to the extent of having an aide in the room with him until he fell asleep) and in thrall to his own place in history. And yet I didn’t feel it was Clarke’s intention at all to do a hatchet job on him – quite the reverse, in fact. Some of the passages are so sycophantic as to make quite uncomfortable reading. The endless list of times JFK cried (there to show us what a caring person he was) was simply odd – who wouldn’t cry at the death of a brother or a child? It was as if Clarke felt he had to remind us that JFK was human after all. And I have to say that Jackie came over as a difficult, spoilt child – not unlike Daisy, to continue the Gatsby comparison. The politics was much more interesting to me and handled better, I felt. Despite the non-linear style, Clarke gave pretty clear pictures of the background to the things that mattered most to JFK – civil rights, avoiding nuclear war, trying to find a way out of Vietnam, trying to get Cuba to break its links with the USSR, some attempt to redress the extreme poverty in parts of the USA and, of course, beating the Russians to the moon. To have achieved as much as he did in his short time as President was indeed remarkable, and Clarke suggests at the end that he would have gone further with many of these projects had he had a second term, and quotes many sources to back up his conviction that JFK would not have allowed the USA to get sucked in to a ground war in Vietnam. I found the book convincing on all these aspects and, given that the public at the time didn’t know about the private side of his life, it seemed to me very understandable that so many people, particularly amongst the young, were so devastated at his early death. Clarke writes very movingly of the assassination itself. He tells of the warnings that JFK chose to ignore, the security measures he refused to take, believing that he had to allow the people to see and speak to him. 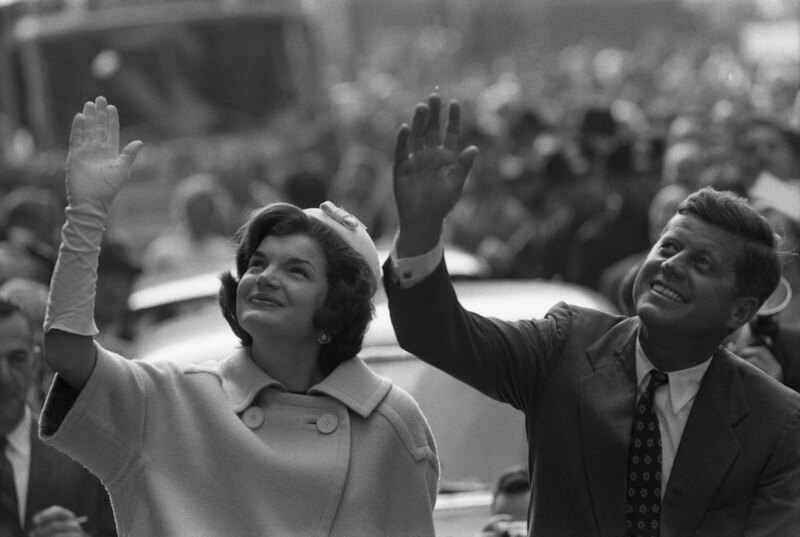 Clarke concludes that the outpouring of grief at Kennedy’s death was ‘for his promise as well as for his accomplishments, a promise that had become increasingly evident during his last hundred days’, and by the end of the book he had convinced this reader at least of the truth of that. An unusual structure for a biography, but thoroughly researched, well written and ultimately an easy and enjoyable read that succeeded in revealing something of the personal flaws without detracting from the political achievements of this remarkable man. Unlike some of the rushed memoirs that came out immediately following Labour’s loss in the UK general election in 2010, Jack Straw has taken time to reflect on his period in office and as a result this book is perhaps a bit more thoughtful than some of the earlier ones. 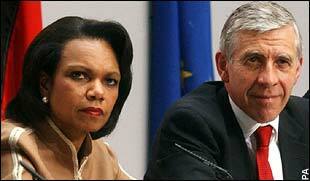 Although the whole Blair/Brown saga is touched on, (how could it not be? ), thankfully Straw hasn’t built the whole book round it. In fact, he gives a picture of himself as a man who concentrated very much on the responsibilities of whichever department he was working in and largely stayed out of the party wrangling going on around him. Straw starts with a quick resumé of his life before Labour took office in 1997 but most of the book is focused on his time in power. Having held two of the Great Offices of State as Home and then Foreign Secretary, Straw is well-placed to discuss the workings of government at the highest levels, and to give some insights into the major events of the time – the Stephen Lawrence debate, prison overcrowding, the formation of the new Justice Department and the Supreme Court amongst many other things. Obviously Iraq and the Middle East rank high in this, particularly as Straw gradually found his own approach diverging from Blair’s. However, again, he manages not to get bogged down in the well-tramped ground of the lead up to the Iraq war, instead expanding the discussion to include his views on Israel, Iran and the policies of the US, UK and Europe in regard to the region. While there is much in here about UK domestic politics, as Foreign Secretary Straw worked closely with the US administration and talks extensively about his relationships with people of the stature of Rice and Powell as they worked together to maintain a common approach to foreign policy matters. If the book has a weakness, it is that sometimes Straw assumes that we know and remember events as clearly as he does and so doesn’t take time to explain the background as fully as he might. For instance, he refers to Brown’s remarks about Mrs Duffy during the election campaign, but doesn’t remind us what these remarks were. * As a bit of a political junkie and because the events were so recent, this didn’t present a problem for me but may do so for US readers. Even in the UK I suspect that in 10 years time memories will have faded and I wonder if the book’s longevity will be affected as a result. Perhaps that’s a recommendation to read it now! Overall, a well written, interesting biography leavened by a considerable amount of self-deprecating humour – very enjoyable. The main problem is that I can’t really work out who this book is for. The ‘Scottish history’ portion of it covers 650 years in 127 pages, so not what even the most generous reviewer could describe as ‘in-depth’. We leap from Bannockburn, rush past Flodden and gallop on to the Union of 1707 faster than the Flying Scotsman. So anyone ‘unfamiliar with Scottish history’ at the beginning is going to be still largely in the same state at the end. Not that I’m saying the history is wrong, and MacWhirter does explicitly remind the reader that he’s not a historian, but it seems to me he has carefully cherry-picked those aspects of history that bolster his argument, and does a fine job of casting sarcastic and savage little barbs at Scots modern and ancient along the way, which I found deeply unendearing. So, based on this first half, I can’t imagine many Scots who are likely to read this book will learn much they don’t already know, nor will most of us be shattered by the revelation that Braveheart wasn’t precisely historically accurate. And for non-Scots the history is so superficial (and mostly unreferenced) that it seems a bit pointless. Hmm! Not any Scots I know. I have never seen a Scotsman sobbing into his pint over Darien, but ask any Scotsman who invented anything and he’ll claim it was us, even if it wasn’t. In fact, I’d say Scots are noted for excessive pride in their country rather than the reverse. I suspect MacWhirter’s attitude may reflect a very small and incestuous part of our society – the politicians and journalists huddled in middle-class Edinburgh and Westminster. In case readers of this review think I am being hard on the book because I disagree with it, I should point out that I am currently tending towards the pro-Independence camp myself, so am largely in agreement with the main thrust of MacWhirter’s argument that Scotland could be a successful independent nation if it chooses. However, I would have preferred to see an unbiased account of the main arguments or to have been told up front that this book is a personal viewpoint heavily geared towards one side of the debate. A reasonably interesting read for Scottish political nerds (of whom I am one), but not an essential one for anyone else, I feel. Ann Widdecombe has had a remarkable and varied career, as a politician, as an author and most recently as a broadcaster and media personality. In this autobiography, her voice comes through clearly as she tells her stories and shares her opinions in the straightforward, no-nonsense way we have all come to love – or hate! This is a linear account of her life with the occasional digression where Widdecombe lets off a bit of pent-up steam on subjects dear to her. She starts by telling us about her childhood when, as the daughter of a senior member of the Admiralty, her family moved from posting to posting both in Britain and abroad. She talks about her time as a boarder in a convent school and as a student at Birmingham University. She was clear from an early age that she wanted to go into politics so spent the next several years during the ‘70s and ‘80s seeking nomination to a constituency, before eventually becoming an MP in 1987. Widdecombe is a talented writer and she makes this an interesting tale, filled with anecdotes, both humorous and serious. We get a clear picture of the things that are important to her – family, conservatism with a small as well as a large C, and her strong Christian faith: the influence of which can be seen in every aspect of her life. Pro-life, anti-gay marriage, she eventually found the Anglican church in which she grew up to be veering too far from doctrine in an attempt to placate modern sensibilities; and her conversion to Roman Catholicism took place when the Church of England voted to ordain women priests. Whether the reader agrees with her views or not, she puts forward cogent arguments for her beliefs and actions on all of these divisive questions. She also takes the opportunity to try to debunk some of the more extreme myths, exaggerations and vilifications peddled about her by the gutter press and her political opponents, to such a degree that they have almost become part of the national folklore. Her political career had its highs and lows and this book concentrates very much on the aspects of government in which she was personally involved, rather than giving a broader picture of the political events of the time. Hence we get a great deal of detail over the prisons debacle that led to her public fight with Michael Howard, for example, but very little about the downfall of Thatcher or the lead-up to the war in Iraq. 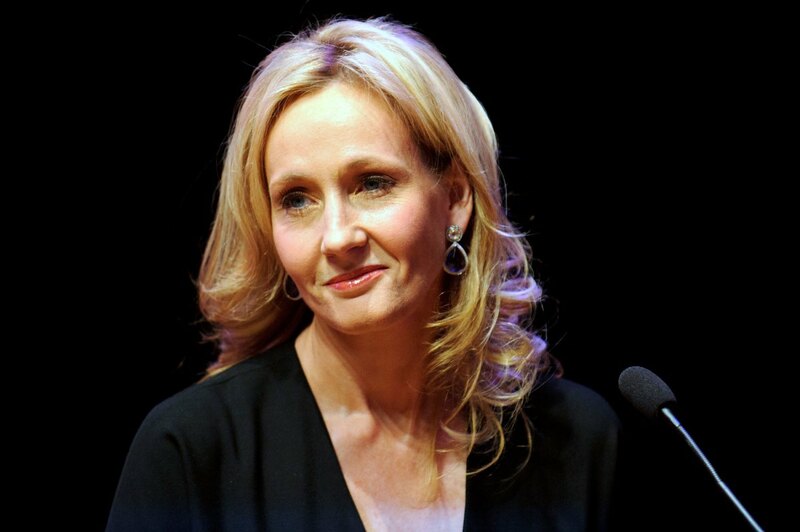 However, her own career was varied enough to provide plenty of interest and her written style is much like her spoken – forthright, uncompromising and often witty. Widdecombe spends the last couple of chapters telling us about her life since she left Parliament in 2010 including, of course, the pure comedy genius of her performances with the wondrous Anton du Beke on Strictly Come Dancing, which made her a household name even amongst those who pay no attention to politics. Overall, this book confirms my opinion of her as a woman who would probably be intensely irritating on occasion, difficult to persuade, a bad enemy…but a good and loyal friend, a loving daughter and a witty and sometimes wickedly funny companion. This autobiography isn’t just for the political nerds amongst us – there’s plenty of politics here, but also a story of a much wider and interesting life before and after her time in Parliament. In this book, Giddens firstly urges us to accept the overwhelming consensus of opinion amongst scientists that climate change is real and caused by the actions of humanity, and then goes on to consider what actions will be required if we are to overcome this global threat. Over the first few chapters, Giddens looks at where we are now. He starts by giving an overview of the scientific evidence and discusses the counter-arguments of sceptics and radicals, concluding that the science strongly supports the position that climate change is happening, is caused by human activity and is likely to have catastrophic consequences if action is not taken quickly. He looks at the availability of oil, gas and coal and how their production and use have shaped and changed international relationships and policy since the Second World War. He goes on to discuss the rise of ‘green’ politics and whether they offer any real solutions to the problems facing us. In the next few sections, Giddens lays out his stall for the approaches he thinks are required. 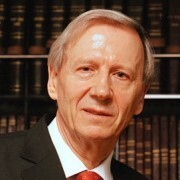 He argues strongly for a lead to be taken by governments of nation states individually (rather than waiting for the outcome of lengthy international negotiations) to develop policies that will encourage reductions in emissions – particularly through the use of the tax system and the encouragement of technological innovation. He highlights that climate change questions have, to some degree, become seen to be a ‘left-wing’ concern and points out that it is essential to success that all-party support is given to measures if they are to be accepted by those who will be affected. 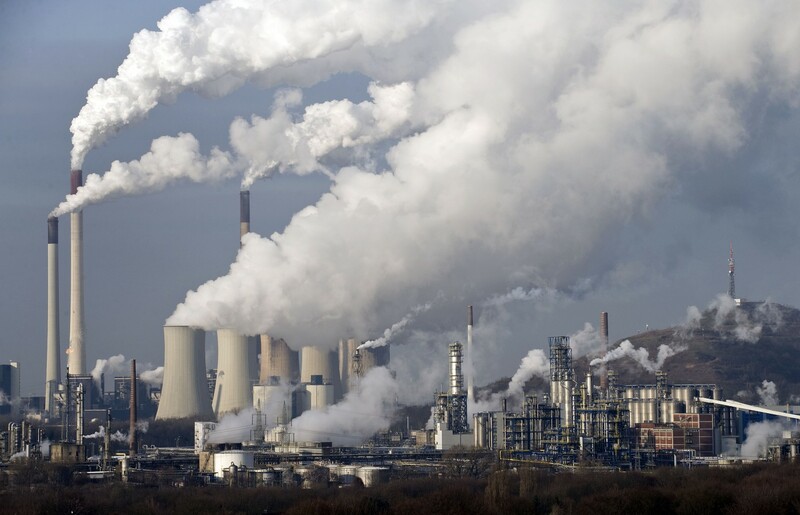 He urges strongly the principle of ‘polluter pays’ and suggests this should be extended to look at the developed world’s responsibility to ensure support for developing and undeveloped countries in combatting climate change and in adapting to its effects. Finally, Giddens looks at how international co-operation has developed to date and how he sees it progressing. He suggests that, as well as the various groupings of countries that are coming into being to tackle the issues regionally, the UN still has a vital role to play in monitoring and holding states to internationally agreed targets. The book is well written and aimed at a general audience. It is a succinct account of where we are now and provides food for thought on how we might progress. I would recommend it to anyone with an interest in the on-going climate change debate (and, as this book makes clear, it affects us all). I found it a clear and accessible summary of the main arguments. Labour peer Andrew Adonis gives us his account of the negotiations that followed the UK General election of 2010, when no party won enough seats to form a Government alone. Although not published till now, Adonis explains that the book was written near-contemporaneously and that shows through in the anger and frustration that seeps from the pages. The book is short and the main part concentrates entirely on the negotiations – Adonis assumes that readers understand the background and the main political and economic questions of the time. 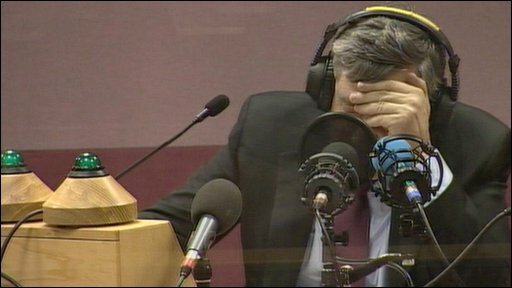 We get a vivid, sympathetic view of the Labour team and of the much-maligned Gordon Brown. The Conservatives are only in the background (since Labour obviously wasn’t negotiating with them) and the Lib-Dems don’t come out of the whole sorry episode well – Adonis (once a Lib-Dem himself) can’t stop some of his bitterness showing through at their turn to the right. It’s a very readable account, not bogged down with some of the self-aggrandising that can be a feature of political memoirs, and the reader gets a real feel for the stress and exhaustion in the Labour camp. Adonis assesses why the Lib-Dems acted as they did, concluding that both Clegg and David Laws (their chief negotiator) were always more right-wing than they seemed or than the rest of their party. He also discusses the benefits or otherwise of coalition and concludes that Labour must keep the door open to a future coalition with the Lib Dems, however bitter that pill would be to swallow, but must first and foremost try to win outright. I found this an excellent read, biased yes (but then I’m on the same side as Adonis so that didn’t bother me too much) but revealing and blessedly short and to the point. 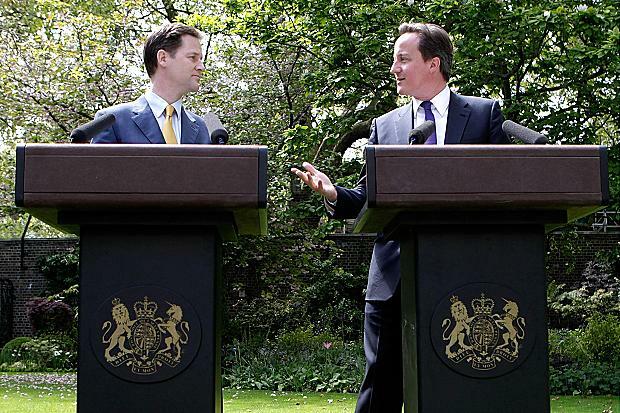 Is it still a democracy when one man (in this case Nick Clegg) gets to decide who will govern for five years regardless of pre-election promises? A question that will become more and more relevant in Britain as the old two-party system fades further into the distance with each passing year. Highly recommended for left-leaning UK political nerds – not sure how interesting it will be to other people though! PS I had to laugh at the subliminal advertising on the book jacket – Brown faded into the background, then Clegg, then Cameron; and finally, right at the front, Ed Miliband! A triumph of hope over experience, perhaps? Peter Hain, one-time anti-apartheid campaigner turned Cabinet Minister, here describes his fascinating political life both outside and inside mainstream politics. For more than four decades he has been an active campaigner and politician, during which he was involved in some of the most important events of this period. Hain starts his account with the story of his early life in South Africa as the son of anti-apartheid campaigners at a time when this was a dangerous thing to be. When his parents eventually felt they were no longer safe to stay in South Africa, the Hain family moved to London where they continued the struggle, with young Peter gradually becoming a major player in the British anti-apartheid movement, leading the Stop the Seventy Tour campaign (the proposed all-white South African cricket team tour of England). During this period, Hain was very much outside mainstream politics and in fact was tried for conspiracy and, rather surreally, for bank robbery – charges he clearly believes were politically motivated. Hence, his description of himself as an outsider. 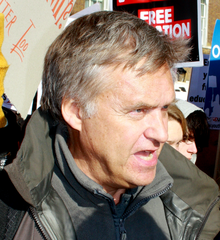 Having joined the Labour party and working for the Union of Communication Workers, Hain’s political career as an ‘insider’ began with his election to Parliament in 1991. During a lengthy Cabinet career, Hain held a number of positions though never quite the top rank ones. From his own account, Hain was neither a party hack nor involved to any great extent in the in-house political manoeuvring of the Labour Party. Instead, his aim seems always to have been to achieve something substantive in each of his roles – following the mantra ‘all or something’ rather than ‘all or nothing’. As European Minister, he was involved in the negotiations that subsequently led to the Lisbon Treaty; he was a minister in the Welsh Office during the devolution referendum campaign; he was Secretary of State for Northern Ireland when the St Andrews Agreement was reached, resulting in the restoration of devolved government. Hain writes interestingly and enthusiastically about all these events, and if he perhaps blows his own trumpet a little too loudly at times, well, that’s a common failing in political memoirs. He also gives us a little on the Blair-Brown saga, but thankfully not too much. I found this book a refreshing change because of Hain’s concentration on the politics rather than the politicians of his time in office – it’s also better written than many political autobiographies. Whether you agree with his politics or not, this is a well-told tale of a fascinating political life. Highly recommended. It is clear from very early on that this biography is written by someone who admires Robeson wholeheartedly, both as an artist and as a person. And there is a great deal to admire. A man who stood up against and often overcame the overwhelming prejudice of his time, first in education, then in sport and finally going on to become a huge star both as a singer and an actor. It is perhaps hardly surprising that a man who had to struggle so hard to be accepted in his own country would use his fame to take a political stance. And no more surprising, perhaps, that that stance would eventually all but destroy him. There is a huge amount of detail in this book. Lubasch tells us about Robeson’s early life and education, and his years as a college footballer when because of his great skill he was able to gradually push back the boundaries that prevented black men from full participation in the sport. His career as singer and actor is covered extensively with Lubasch telling us where he performed and usually which songs he sang and the size of the audience. This did become a bit repetitive but it was interesting to see how his choice of repertoire changed over the years as his political convictions grew. Lubasch also covers Robeson’s marriage in some depth, as well as his important friendships and relationships. The second half of the book still tells us what he was doing as an artist at each stage but Lubasch gradually expands on Robeson’s admiration for the Soviet regime and the conflicts that this caused with the US government. Lubasch explains convincingly that Robeson’s support for the USSR arose out of the fact that it was the one place in the world where he felt that his colour was not used as a bar. He shows Robeson as one of the earliest of the equal rights campaigners, a forerunner of Martin Luther King Jr, demanding stronger laws against lynching and refusing to perform in any venue which segregated the audience, sometimes putting his personal safety at risk in order to speak or perform. However, Lubasch’s warm admiration of Robeson leads him to step very gently around the less savoury aspects of his life – his serial adultery, his rather detached relationship with his son during his early life, his continued support for the USSR even when some of its excesses were becoming known. I felt this was a lack in the book – Lubasch’s hesitation to robustly criticise made this account of him feel a bit lightweight and less convincing than it otherwise would. Occasionally, the tone of praise for Robeson is almost sycophantic, perhaps more so to my cynical British ears than it would be to American ones. Overall, though, I found the book very readable and informative; and greatly enhanced by the many photographs and lyrics that are liberally included. I was left with an inspiring picture of Robeson as a man of courage, dignity and integrity. Recommended. While reading the book, I immersed myself in that glorious voice by listening to the many recordings of Robeson available on youtube – pretty much every song Lubasch mentions is available there, including of course Robeson’s signature tune Ol’ Man River. And as follow-up I watched The Proud Valley – the film Robeson was most proud to have been involved in. Nick Robinson, Political Editor for the BBC, has managed to do in print what he does so well on a daily basis on TV; communicate interestingly, informatively and enjoyably. He has divided this book into two parts – before and during his own involvement in reporting on politics. The first part covers the history and growth of political journalism from its earliest days, showing that some of the tensions we see between present-day politicians and journalists have always existed since their symbiotic relationship began. He recounts the fight for journalists to have access to parliament, first as a presence in the press gallery, then the later development of the ‘lobby’ and finally the struggle to get MPs to agree to televised coverage of the House. Not surprisingly, a lot of his story is focused on the BBC, first as a radio broadcasting organisation then moving into television. Well researched and presented, he shows how the famous BBC ‘impartiality’ came into being, and how it has been consistently called into question throughout the Beeb’s history. The second half mainly covers the Blair/Brown years. By this point, Robinson was covering politics himself and the book takes on a more personal, partly autobiographical tone. As he relates the story of the years of spin and the increasing conflict between media and politicians, he openly questions where the faults lay and while he places some of the blame on the politicians he doesn’t shy away from criticism of journalists, including his BBC colleagues and himself. We are treated to a surprisingly sympathetic, revealing and almost intimate view of both Blair and Brown from this man who spent years following each around the globe. This, of course, was the period of the Iraq war, the global crash and, not least, two major inquiries into the relationship between media and politicians: Hutton and then Leveson, which had not yet reported at the time the book was written. His insights into the political background of all of these events are fascinating as he reflects on the role of the media in each. In the afterword, Robinson discusses the possible future, focussing on whether impartiality will remain desirable or even possible in the Twitter/Facebook age. He suggests that there is a strengthening body of opinion that there may be a place in broadcasting for bias, much in the way that Fox TV has changed the face of broadcasting in the US. It is clear that his own bias, however, is to defend the principle of impartiality – without dismissing the problems that are inherent within the current system, he clearly believes it is still better than the alternative. In summary, an interesting and thought-provoking book, well and approachably written and impressively objective on the whole. It is brave for a working journalist to discuss so openly the strengths and weaknesses of his profession and himself – I felt that, as he wrote, Robinson was critically reconsidering and reassessing his own past performance and I will be intrigued to see if his future reporting is influenced by what seemed, at times, as if he were undergoing a reflective learning experience. Highly recommended. Already involved in politics before the coup that brought Pinochet to power, Ricardo Lagos was one of the leaders in the movement to restore democracy to Chile and subsequently went on to become its democratically elected President. In this book, Lagos starts by telling the story of how many of the various opposition parties came together with one purpose – to find a way to oust Pinochet without a violent struggle. The horrors of the Pinochet era are somewhat downplayed; Lagos concentrates more on the ideological and economic effects, although he does give enough information about the ‘disappeared’ and the victims of torture to remind us of the excesses that were carried out by the regime. He is also honest about the amount of support Pinochet had within Chile – when a referendum on the regime was finally held, 44% of people voted for Pinochet to remain in power. Lagos then goes on to describe the restoration of democracy and the social and economic restructuring that has happened in the two decades since the regime fell. As one of the group of left-leaning leaders who embraced Blair’s Third Way, Lagos looked for innovative ways to involve both private and public sectors in rebuilding Chile’s infrastructure, restoring its economy and tackling the worst effects of poverty. To go by his own account in this book, Chile would seem to have taken huge steps towards becoming a fairer and richer society, although Lagos admits there’s still much more work to be done. In the last section, Lagos recounts Chile’s role in the UN discussions around the resolutions sought prior to the invasion of Iraq. It’s interesting to see this told from the point of view of one of the smaller countries – to read of the schmoozing and arm-twisting employed by the US and to a lesser extent the UK to get the votes of the unaligned countries. 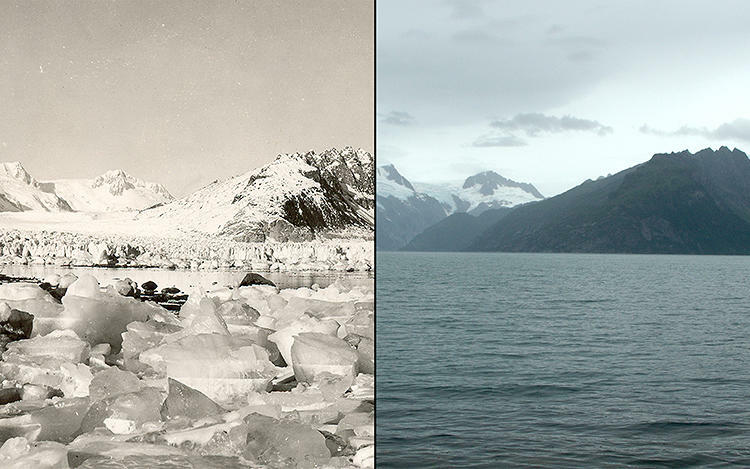 Lagos uses the epilogue to ponder on some of the political challenges remaining to Chile as well as some of the global challenges such as climate change. Overall, this book is interesting and easy to absorb. Sometimes a little self-congratulatory, that can surely be forgiven from a man who is clearly very proud of how far his country has come in such a short time. An enjoyable, informative and sometimes inspiring read – recommended.